Who is a huge fan of Trollhunters and all things magic, perseverance and love for life? Yes, all of that you should expect in the upcoming Season 2 of DreamWorks Trollhunters, the second installment of the trilogy of the Tales of Arcadia. The initial book was written by the talented Cuillermo del Toro, who also produces the entire trilogy for Netflix. DreamWorks Trollhunters is a heroic tale that uncoils with ambitious, complex storytelling and stunning visuals that raise the bar for animated series, creating an event series that will thrill the entire family. From the limitless imagination of master storyteller Guillermo del Toro comes a tale of two worlds set to collide in the epic saga DreamWorks Trollhunters. When ordinary teenager Jim Lake Jr. stumbles upon a mystical amulet on his way to school one morning, he inadvertently discovers an extraordinary secret civilization of mighty trolls beneath his small town of Arcadia. Strong-willed and seeking adventure but wholly unprepared for the responsibilities thrust upon him, Jim is forced to take on the exalted mantle of Trollhunter, sworn to protect the good trolls from powerful enemies bent on revenge. The first human ever to hold the honor, Jim abruptly goes from fighting his way through the daily mayhem of high school to joining a war that has raged for centuries, a conflict that now threatens all of mankind and troll-kind alike. Accompanied by his closest human friends and a few key troll allies, the courageous fifteen-year-old must plunge headlong into a fantastical world of astonishing creatures, glorious cities, and fierce enemies desperate to destroy him. Suddenly destined to play a crucial role in an ancient battle of good and evil with stakes that couldn’t be higher, Jim is determined to save the world — right after gym class. Take a look at the Voices behind the Characters! 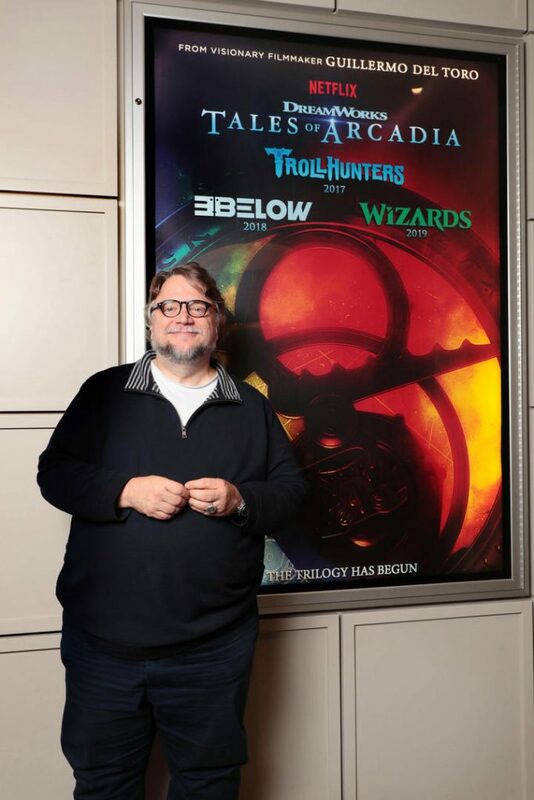 Trollhunters is created and executive produced by Guillermo del Toro (Crimson Peak, Hellboy). Marc Guggenheim (TV’s “Arrow,” “DC’s Legends of Tomorrow”), Rodrigo Blaas (animator Up, Brave, WALL•E), Christina Steinberg (Rise of the Guardians) and Chad Hammes (Dragons: Race to the Edge”) serve as executive producers. Dan Hageman and Kevin Hageman are co-executive producers. Who Wants to Win Trolls Soundtrack And A Trolls Doll?